If you’re looking for a trusted and reliable company that provides professional wooden floor sanding in Market Harborough, Leicestershire; then you’ve come to the right place. Restoring wooden floors is sometimes essential to remove worn seals, heel marks and deep scratches. No matter if your floor is an Engineered Oak Wood, Pine Floor Boards, Beech, Walnut or a Cherry Parquet, we can restore your wooden floor using our unique floor sanding system that gives you the designer look for your wooden floors but without the Dust, Mess, smell or Hassle of traditional floor sanding. See the pictures below from our work in Market Harborough, Leicestershire. The wood floor restoration team at Bailey’s Floor Care are a fully trained, qualified and authorised affiliate of The Ultimate Floor Sanding Company™, and provides the full range of wood floor sanding and refinishing services in Market Harborough and across Leicestershire. Clients appreciate the exceptional level of customer service that we provide. This is an integral part of our guarantee. 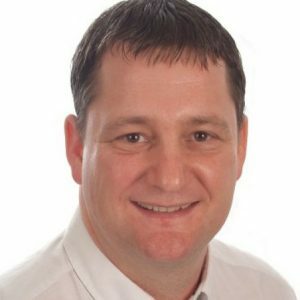 Exceptional customer service is extremely important to every member of our floor sanding team in Leicestershire. …and, of course, leave you with a beautiful looking floor! If you’re not entirely happy with ALL of these things, then our work is FREE. That’s right – you pay us absolutely nothing! 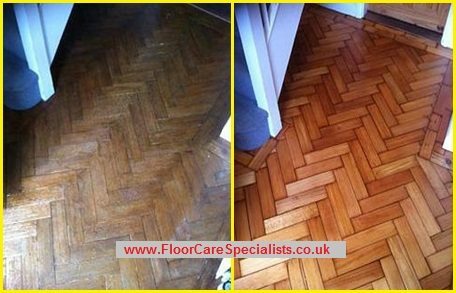 Here’s a parquet floor that we gave a new lease of life to in Market Harborough. We sanded the floor flat and to a fine, dust free finish before using Magic Oil to seal the wood and completed the work in one day to our client’s amazement. As an authorised affiliate of The Ultimate Floor Sanding Company™, we exclusively use the Pallmann range of products and are able to offer all of our clients a 2 year Warranty when we sand and seal your wooden floors, giving you piece of mind throughout our work. This warranty is backed by Pallmann Parkettprofi through The Ultimate Floor Sanding Company Affiliates scheme. We’re passionate about providing a first class wood floor sanding and restoration service. What drives us is the before and after results as these can be amazing. What actually gives us the kick is the WOW factor we got from our clients when they see the floor after we have finished and this give us absolute and total job satisfaction – this is the reason why we do it! Not only do we go all out to provide great looking wood floor sanding, sealing or restoration but also a fantastic service on top of that. Nothing is too much for our clients and we find that this attitude towards who we are and what we do is what keeps our clients coming back time and time again. So if this is the sort of service you would like and you want your wood floors sanded and restored then please contact our friendly team on 01530 215 036. Find out more about our wood floor sanding services here. We are a professional floor care company who specialise in carpet cleaning, rug cleaning, fabric & leather upholstery cleaning, Karndean & Amtico cleaning and sealing, stone floor cleaning and restoration, wood floor sanding and sealing as well as cleaning and sealing patios and driveways for our domestic and commercial clients throughout Derbyshire, Nottinghamshire, Leicestershire, Warwickshire (Inc Coventry, Kenilworth & Leamington Spa) and Northamptonshire.